Want to make a herbal soup but intimidated by the chinese herbs in them? These herbs are added to long simmering soups to extract the natural substances in them that help regulates various bodily functions. Find out more about these special ingredients in this list of Chinese herbs. I know that pictures would help so I try to include as many as I could. This is not a comprehensive list but of those commonly used to make soups for everyday consumption. I do not features herbs or recipes meant as medical decoctions. Those require training and an in-depth knowledge. You may also want to read up on some preparation tips for chinese herbal soups. 花旗参 (hua qi shen) is reputed to be a gentle cooling herb. This ginseng is found growing wild in the Northeast America. But due to over-harvesting, they are now grown commercially for consumption. Western scientists are now finding interesting compounds and substances that have impact on bodily functions. Traditional Chinese medicine prizes it for its ability to balance the yin and yang forces in the body. Astragalus is a root with a mild licorice-like taste. It possesses manifold benefits for a wide range of illnesses, which is why it is featured frequently in chinese soups and gentle tonic drinks. Read more of its benefits and find some recipes. The Chinese angelica root has a very important place in women's health. It is highly valued for the treatment for a host of women's illnesses. It is supposed to strengthen the blood, nourish the female reproductive organs, regulate menstruation and alleviate period pains. 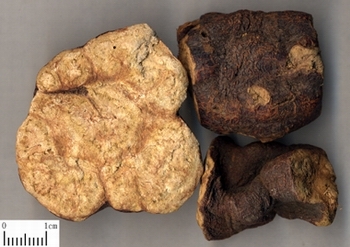 Chinese medicinal shops sell chinese angelica root as dried unprocessed pieces of root. Some health shops also sell them in capsule form. In its dried state, chinese angelica root emits a certain woody aroma that develops into a strong flavour when cooked. 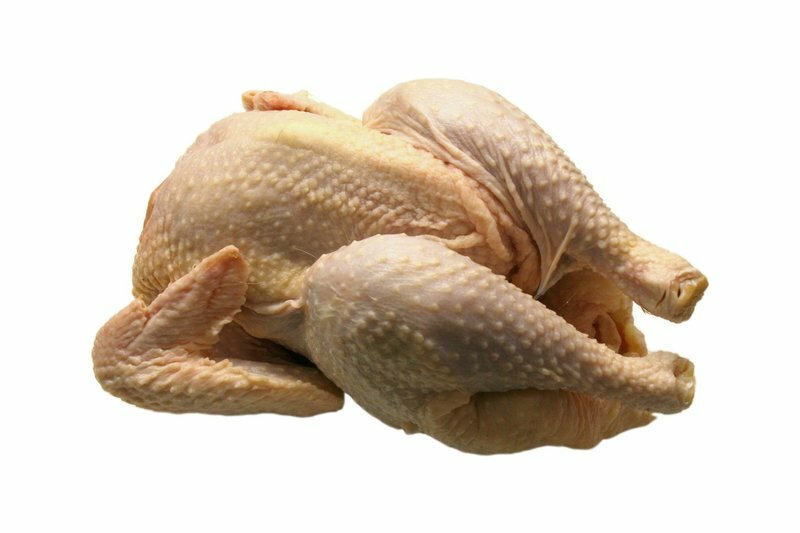 It is usually steamed or simmered with a combination of chicken, mutton, pork and some other herbs, depending on the nature of the ailments to be addressed. The angelica root requires no preparation before cooking. Dang gui is usually not eaten. Just drink the soup. The chinese believes that the coix seeds are diuretic, anti-swelling, pus-expelling and cooling. It is therefore most commonly recommended to people suffering from stiff and painful joints, rheumatism, warts and eczema. Read on for more information and recipes with chinese pearl barley. Chinese wolfberries or boxthorn fruit and is more commonly known as dried goji berries. They are small bright red fleshy fruits. Goji berries sold in dried form in many Asian grocery stores or chinese medicinal halls. Dried goji berries are known as gou ji zi in mandarin and kei chi in cantonese. They are quite sweet and are found as an ingredient in many chinese soups, sweet teas and tonic drinks. It is one of the most popular chinese herbs. Not very expensive either. It is a natural supplement for improving eyesight especially if poor eyesight is caused by malnutrition, vessel expansion and inflammation. Consuming goji berries may help if you experience eye strain from staring at computer screens and documents for long periods of time. Goji berries are also beneficial for the liver. A healthy liver manifests in better looking eyes and vision. Traditional chinese medicine taught that any sickness in the liver can be observed from the eyes. For instance, people suffering from hepatitis or jaundice have very yellowish eyes. In recent years goji juice has been marketed widely as a natural remedy, like some wonder drug. However, it is not a panacea. In fact, people who have diabetes should take it in moderation. Dietary therapy emphasizes balance, moderation and combination in the use of chinese herbs in soups and other foods. This goes the same for goji berries. The berries can be eaten and they can be quite sweet. 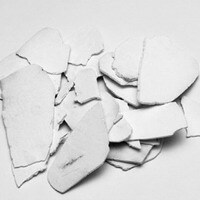 Also known as huai shan (medicinal name), dried chinese yam has a modest appearance ... it looks like chalk. It is also tasteless. Extolled for its wide-ranging health benefits, chinese yam has been recorded as having the ability to enhance vigour, promote muscle growth and repair worn-out tissue, and alleviate bodily weakness after a long-term illness. This Chinese herb has also been used to counter diabetes, diarrhoea, kidney defects, coughing and dehydration. It can, however, cause frequent urination and perspiration. So be careful not to over-use. Chinese yam is usually used in conjunction with meats and other chinese herbs to aid digestion, regulate body's sugar level and control inflammation of the uterus. Here are some recipes. Chinese yam can also be found in its fresh form. It is known as 山药 (shan yao) in mandarin. Prepare as you would potato. This fresh form can and should be eaten. Codonopsis root has many tonic uses. 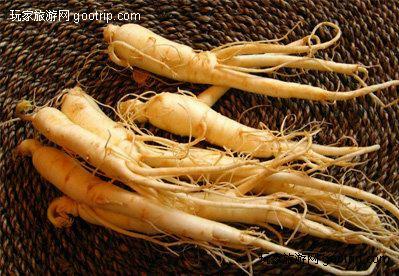 The root is usually cooked with meats and other chinese herbs in soups and stews to promote general good health. To use, cut pieces of the root into 3-cm length if they are too long and add to the pot. Codonopsis root is usually not eaten. The Chinese name for cordyceps literally means winter worm, summer grass. It can also be translated as chinese caterpillar fungus. The weird name arises because cordyceps is actually a hybrid chinese herb made up of a type of parasitic fungus growing within a caterpillar. The fungus invade the bodies of the young caterpillars when they are hibernating in the ground and grew their way out, killing the caterpillars in the process. Harvesters spot them through the tiny shoots that stick out from the ground. 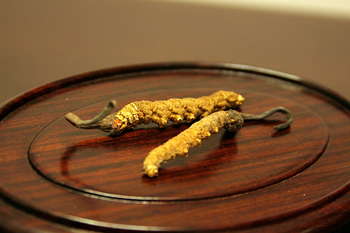 There are basically 3 ways of preparing cordyceps. TCM decoctions, simmered soups and alcoholic infusion. In soups, it is usually paired with ducks but it works well with chicken and pork. Cordyceps is usually prescribed to people who have weak constitution. It enjoyed a good reputation as an anti-aging ingredient and is popular among ladies. Like the ginseng, it is highly prized and therefore fairly expensive. There are many imitations in the markets. Buy from reputable shops. I don't think it taste very nice but because it is expensive and many people think it has more efficacy if it is eaten, so it is up to you whether to eat it or not. Dried lily bulbs, also known as bai he, are the scales of the bulbs of the tiger lily flower. It is believed to be good for the lungs and it appears in many anti-flu recipes. It is most commonly found in sweet congee and sweet soupy desserts. The fresh version is also quite popular amongst chinese but they are not that easy to find. 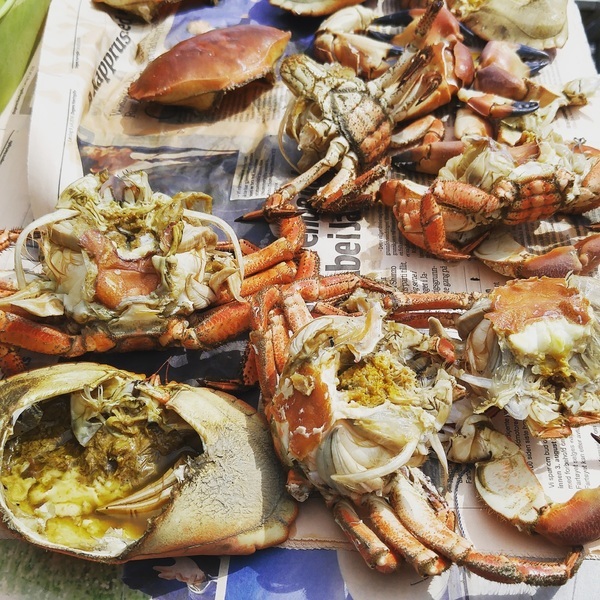 If you do find some, make sure you parboil them to get rid of the bitterness / spiciness before adding to your dishes. The dried lily bulbs should not be mistaken with the dried lily buds which is a different part of the tiger lily plant. Dried tangerine peel is simply the peels of tangerines (not oranges) that are dried in the sun. It aids digestion and absorption and soothes the tummy. It is especially good with feeling of bloatedness and nausea. Many chinese pregrant ladies like to buy and eat the preserved version (<i>that is, saltier version</i>) to ease their morning sickness. If you are feeling nauseous or bloated, you can steep 2 small pieces of dried tangerine peels in hot water and drink it like tea. The preserved version is also a great remedy for motion sickness. Some of my friends always pack a few packets when they travel. I should try to remember to do that too (^-_^). They are not usually eaten when used in soups. Probably soggy by then. Euryale seeds like many other chinese herbs have a lot of name variations. Such as fox nuts or gorgon or qian shi in mandarin. It is the seed of a certain water lily plant. The plant grows in water and have bright purple flowers. This explains why it resembles lotus seeds. Euryale seeds are mostly used in soups or roasted so that they pop (like pop corn). They are very hard and requires long simmering to soften them. Not that they are that tasty. 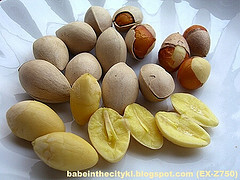 Fox nuts are believed to strengthen the kidneys and enhance sperm production. They can be eaten but can be powdery. Gingko nuts are known to be good for women who experience excessive white discharge and children with weak bladders. It seems to have an effect on the regulation of urination. I used to help my mother to de-shell the nuts. It is not easy as it is a delicate balance between breaking the shells and smashing the soft flesh within. There is also a thin layer of brown skin covering the yellow flesh. Peel the layer off carefully. The pith is bitter and should be removed before cooking. Actually I don't know if ginkgo nuts can be categorized as a Chinese herb as it is usually taken fresh. I have not come across any in dried or processed form. Hailed as the King of chinese herbs, ginseng is greatly prized. There are a few types such as white ginseng, red ginseng, American ginseng and the Korean ginseng. Scientific studies on cancer have found that moderate consumption of ginseng seems to help. For example, american ginseng has been observed to alleviate the side-effects of radiotherapy especially fever. The tiny ginseng "beards" growing on the surface of the chinese herb can be used an a cheaper alternative to make soup tonics. You can also find ginseng tea, ginseng candies and ginseng wine. Ginseng are not usually eaten but people like to chew them. He shou wu, which means black hair Mr Wu, is known as fo-ti in english. It is the dried root of polygonum multiflorum. It is most commonly used to treat greying hair. A lot of chinese ladies prepare he shou wu soups for their husbands (^_^). Please note that fo-ti will react with metal, please do not cook it in metal pots, including thermal cookers. Do not eat the he shou wu, it would be like eating dirt. Indian bread is actually a solid fungus which grows on the roots of pine trees. It is dried and sliced into thin white slices. Read more about poria and get some poria recipes. Solomon's seal is sold in thin curly slices in most chinese medicinal halls. It is light yellowish in colour. It contains Vitamin A and is believed to be moisturizing and therefore an excellent chinese herb for use in dry winters where skin tends to become very dry. It is also used in the lowering of blood sugar levels and prevention of hardening of the arteries. Solomon's seal is believed to be excellent for alleviating a host of ills, including throat and lungs ailments. Excellent for diabetic patients suffering from thirst and dryness. I hope this list has been helpful. Let me know if there are any herbs you would like me to add. When I first wrote about chinese herbs, I didn't foresee this question. Perhaps it was because of the place I live. Chinese medicinal halls are ubiquitous here in Singapore and even supermarkets carry pre-packed herbal soups. So, I never thought I needed to say where to buy them. But it became a frequently asked question. Initially, I tell visitors to go to their chinatowns or look for asian grocery shops to buy their chinese herbs. However I didn't feel very comfortable about that because I can't tell whether they will have a good shopping experience or get good quality herbs. So, I started searching for a good online retailer who also do international shipping. Many that I came across were only selling herbal powder and pill supplements, not the dried and cut herbs themselves. There isn't any real good place to buy Chinese herbs online. You can now buy individual herbal soup kits from root + spring, a modern Chinese herbal shop operating out of Los Angeles, California. I tried 2 of the kits and found them to be excellent. They are also gluten-free, additive-free and vegan. They ship internationally too. Click here for review and pictures.